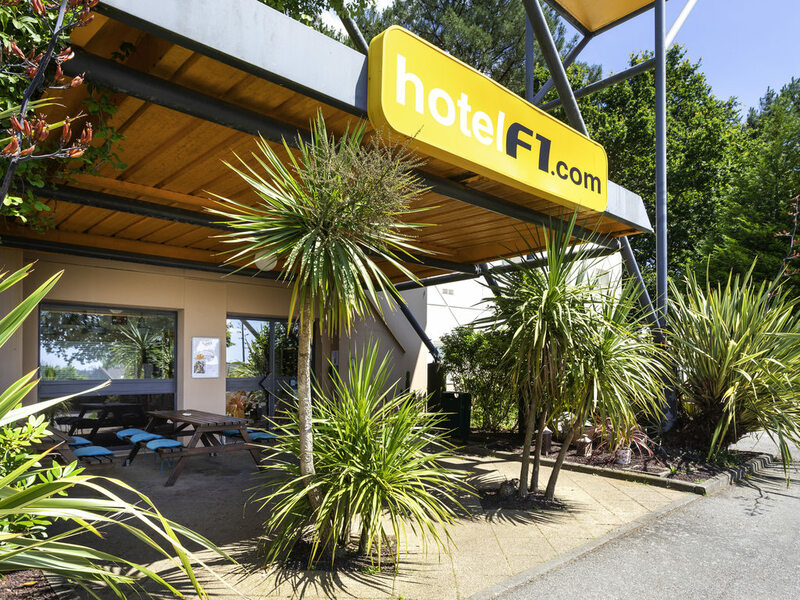 Take a break in our low-cost hotel, which is ideally located in the heart of the Pays de Lorient. Enjoy a very peaceful hotel surrounded by greenery, with a cinema and shopping center nearby. Only 6.2 miles (10 km) from the center of Lorient, which hosts the Interceltic Festival. Near the beaches of Larmor and Port-Louis, as well as the departure pier for île-de-Groix. Outdoor parking, 24-hour reception, free WIFI, and restaurant 32 yards (30 meters) away.